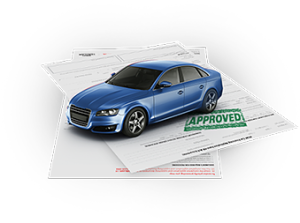 At some point in the past, you obtained auto financing to buy a car. However, today you are having difficulty making the payments or you just feel as though your interest rate is too high. In fact, you’re worried that it might eventually become an upside down vehicle loan. Here’s how can a refinance help you, and how can you accomplish this goal. These benefits probably sound quite appealing to you, and you are eager to get started with the process. Well, Rowley Wilson Auto Sales is here to guide you along the way. We’ll call you to review your application, and set up a time for you to visit us and finalize your file. If you have a dealer loan, the dealer may or may not allow you refinancing through them. Borrowers who have a long history with their particular dealer can leverage that relationship to get whatever changes they need made to their loan. Those who have been struggling with their payment and as a result have a bad credit score may need to refinance through a third party like us because they don’t have a good relationship with their dealer. We offer poor credit auto refinancing at competitive rates, even for customers whose original loan is not with us. When you have a loan through an outside lender, that lender will pay the dealer first. You then repay the lender the balance of the loan. However, the dealer does not get paid first if they originate the loan. Therefore, they will do whatever it takes to allow you to continue making your payments. Unfortunately, many Ontario used car dealerships would rather you use a different party if you’re already behind on your payments because they feel as though it will be a repetitive history even with lower payments. This is where Rowley Wilson Auto Sales comes in.